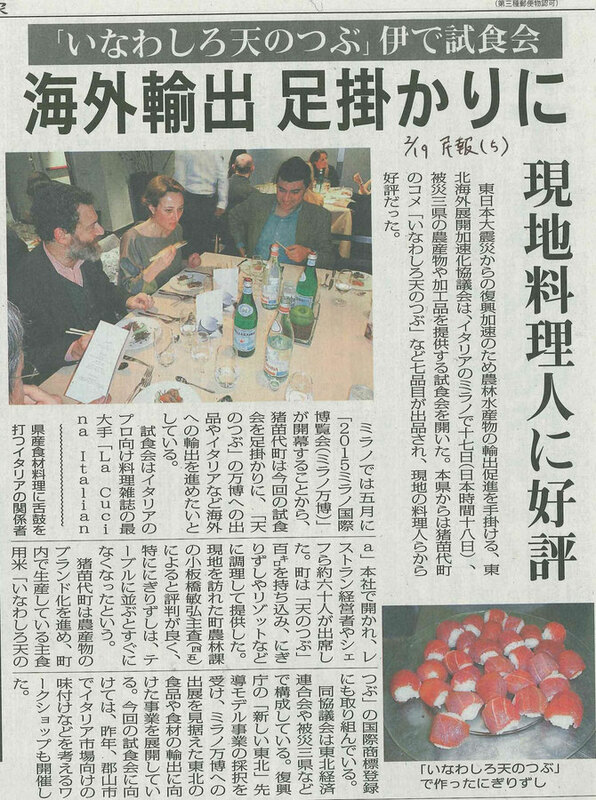 The dining event was held in Milan on 17 Feb., 2015, the initial event of the project which we Albero have also joined since last December. 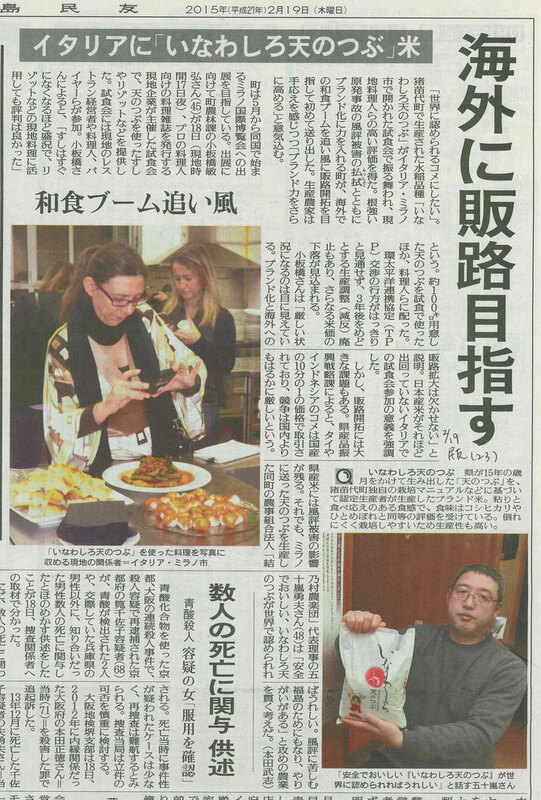 The project is introducing the food culture of Tohoku district to the Italian market as "Taste of Tohoku". Japanese sake, Miso(fermented soybean paste), Shoyu(soy sauce), rice cake etc. from Iwate Pref., Miyagi Pref. and Fukushima Pref. are looking forward to seeing you in Europe. The 2 major newspapers in Fukushima Pref. also wrote up articles.